Ranking fifth in the “100 Coolest Cars” list of 2005 as published by the Automobile Magazine, the Citroen DS is surely a car for keeps. Six years back, in 1999, the French built Citroen DS was also recognized as the third best car with the most inspiring automobile design. Not only does the Citroen DS have an appealing style and form, it also packs a heavy weight punch in terms of features. Car safety will never be the same again ever since Citroen DS introduced the frontal disc brakes. This among other features has secured a historical hallmark for the French phenomenon in the automobile industry. Flamino Bertoni, a French Industrial Engineer, is the man behind the visionary design of the Citroen DS. Its aerodynamics and futuristic features catapulted car sales to a staggering 1.5 million units that were sold in a span of two decades where it was considered as one of the rare breed of executive cars between 1955 and 1975. In French, Déesse stands for goddess. DS which appears to be an acronym is actually a shortened version of the French word which somewhat gives you the image of the Citroen. With its classy and stylish exterior, the car generated more that 700 orders within 15 minutes from the time of its release in 1955. By the end of the day, interested buyers already reached 12,000 – a truly incredible figure even up to this date. Aside from its form, the Citroen DS blends cutting edge technology with superior handling. During the post-war era, it was considered as the all around, multi-purpose vehicle. Throughout the reconstruction and rebuilding of France after the devastation brought by World War II, the Citroen DS was always in the thick of the action. No car can better represent French ingenuity as the Citroen DS. 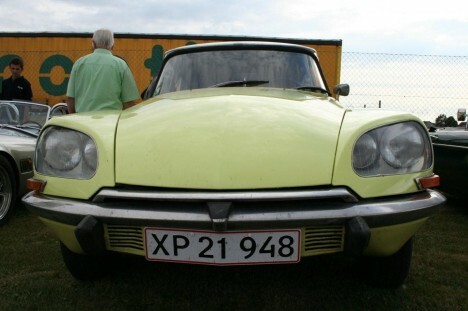 Even during the period of depression, the Citroen DS was able to survive by releasing a relatively cost-effective submodel. Bearing the same aerodynamic design, only power steering and the transmission type were modified to address the needs of the cost sensitive market during the period. Higher taxes were slapped on big engine cars. This prompted the Citroen DS’ relatively small engine design. Though it had only four cylinders in its engine, the Citroen DS was still a top contender in motor sports. Cross country rallying was a test of the DS’ superior handling where it was able to maintain relatively high speeds on poor driving surfaces. Between 1959 and 1966, the Citroen DS even took home two Monte Carlo Rally trophies earning the favor of an even bigger number of car enthusiasts. Carefully maintaining its strict engineering design quality, most of the Citroen DS cars were mainly manufactured in Paris. But with the advent of globalization and the car’s ever growing success, other countries were allowed to produce the model as well. Other countries which built the Citroen include the United Kingdom, Yugoslavia, Australia and South Africa. The Aussies even built their own variant although it did not reach the European market. Even in contemporary Yugoslavia, the DS sedans are still being used as taxi cabs.